Essex prom hair and makeup by Leanne Jessica. 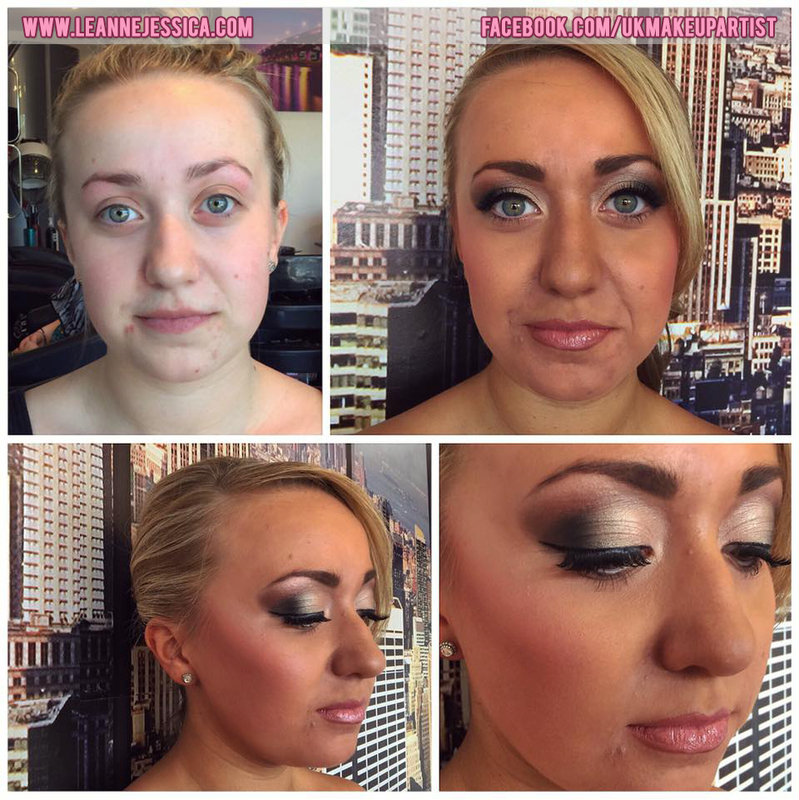 Leanne Jessica is a highly experienced, professional, qualified and insured make-up artist available alongside an experienced hairdresser to do your Essex prom hair and makeup in the comfort of your own home or at Twisted Hair And Beauty Salon in Laindon in Essex. At Twisted Hair And Beauty salon you will also find a team available to do prom hair, nails, waxing and more. Ensuring you have the best Essex prom hair and makeup experience. Leanne Jessica also provides airbrush foundation and of course contouring and highlighting using luxury high end expensive brands. She has hundreds of references available and is a true perfectionist. The hairdressers available are also highly experienced and recommended and know how to style all types of hair and how to ensure it will stay put for the night so you do not have to worry about it. Hair down, half hair up, hair up… All styles are catered for and of course only the best brands are used to prep and finish the hair. Making you feel your very best! For more details please contact her by clicking here. 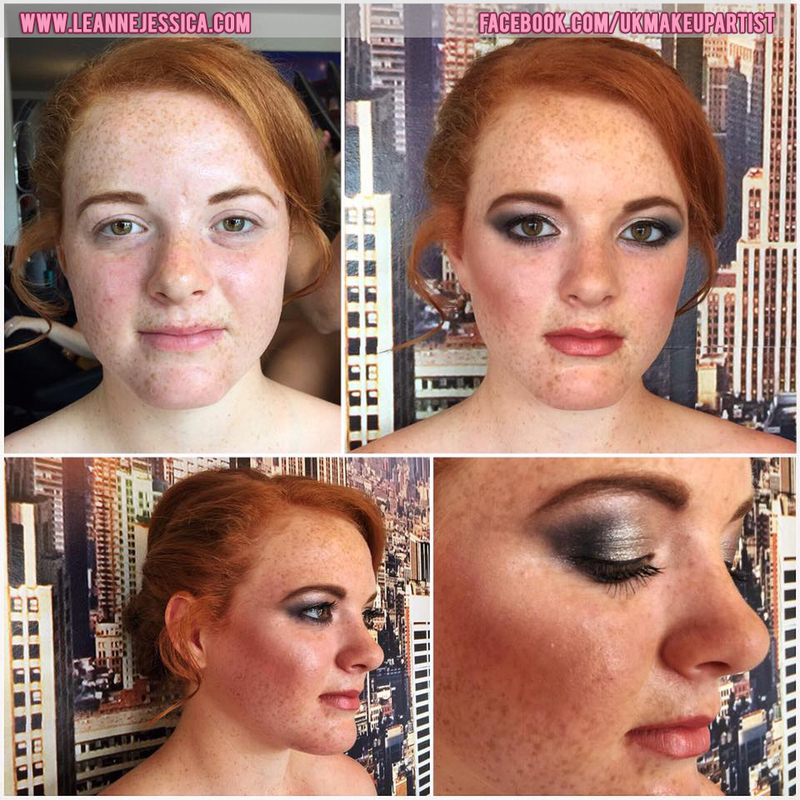 Some examples of before and after prom make-up applied by Leanne Jessica. No editing straight from iPhone.